2. Which issues can you cite that he said "I QUIT!"? 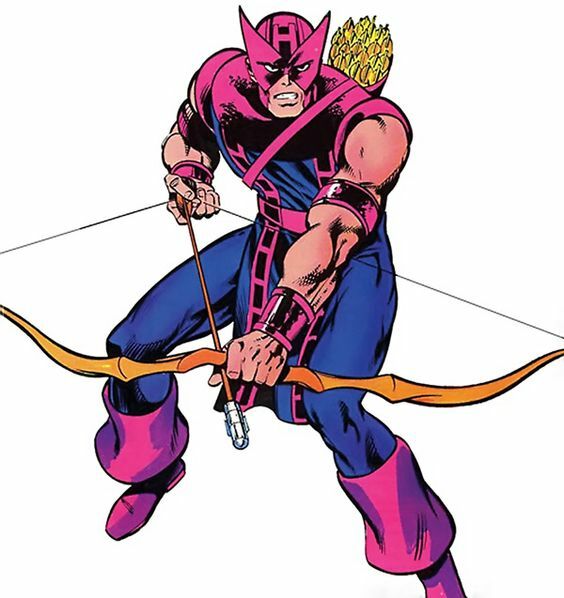 Hawkeye is traditionally one of my least favorite Marvel characters. I didn't like his abilities or his personality, and as someone who dislikes Roy Thomas stories, I dislike much of his history. I do like his classic costume when Byrne or Perez draws it. I think Barry Windsor-Smith would draw it terrifically. Recently, when he took over the Ronin identity during Dark Reign, I did kind of like that and wished he'd kept it. I also liked the Matt Fraction/David Aja series. So, for me, that is about 2 bright spots in 50 or so years of Hawkeye stories. I think that the USAgent beating the crap out of him in Byrne's WCA might be my favorite Hawkeye moment.